How does the Citizenship DRC work? In addition to being a source of evidence and innovative ideas about citizenship, the Citizenship DRC has tried to integrate into its own practice a commitment to participatory ideals – experimenting with new ways of teaching, researching, collaborating and communicating. The Citizenship DRC's research was often done through participatory and action research, with academics and citizens working together as co-researchers in a process through which the inquiry itself becomes a catalyst to further action. For guidance on the use of participatory video, theatre for development or other techniques, and for reflections on tough methodological challenges, such as how to conduct action research in violent contexts, the Citizenship DRC leaves behind many useful materials. The renowned anthropologist Arjun Appadurai has argued that how equitable the results of globalisation are will depend partly on academic enquiry, calling for an understanding of “globalization from below.” The Citizenship DRC has learned that to rise to this challenge requires not only a new theoretical lens, but an entirely new way of working that balances the academic power between northern and the southern institutions and that can accommodate local, national and international perspectives. Lessons from the Citizenship DRC’s own internal efforts at this have been documented for other global research endeavours. 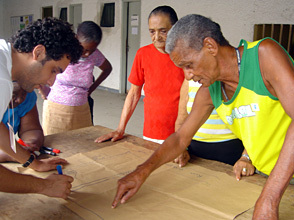 With its unique focus on situations where social injustice, human rights abuses and inequality are the policy problem, the Citizenship DRC has also taken a unique approach to influence: using the research as an opportunity to create collaborative and participatory spaces for engagement for a diverse range of stakeholders at multiple levels. Where evidence alone is not enough, the Citizenship DRC has insights for how to translate knowledge into progressive change. Given the growing emphasis on the links between research and policy, it is crucial to examine how these connections occur. This report draws on the experiences from over six years of an international research network â the Development Research Centre on Citizenship, Participation and Accountability(Citizenship DRC)â to understand research and social change.